John Dalli, the former EU health commissioner, challenged EU Commission President José Manuel Barroso in court on Monday (7 July), declaring he was unfairly forced out of his job and maintaining his innocence in a graft scandal. Dalli was forced to quit as EU health commissioner in October 2012 after his associate was accused of asking for €60 million from a tobacco firm in return for Dalli’s help in influencing EU tobacco law. On Monday, Dalli denied there had been anything inappropriate in his contact with lobbyists, saying he had met one in a hotel for 20 minutes in his bathing suit, without knowing who he was. Dalli said Barroso had sacked him in what he described as an “ambush”, prompting the president of the European Commission to defend his actions in the first such case before a European court. 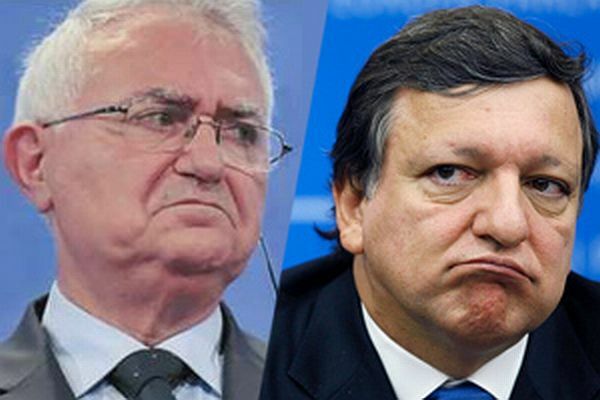 But Barroso told judges that he had little choice but to tell him to go, drawing similarities between this case and the resignation of all 20 commissioners in 1999 under Jacques Santer following accusations of corruption. He described Dalli’s contact with a “bar and restaurant owner” and with industry as “bizarre to say the least,” given that he was responsible for new EU tobacco legislation. “It was a matter of common sense that a prolonged investigation would cast doubt over his integrity and that of the entire Commission,” Barroso, a trained lawyer, told judges in Europe’s second-highest court. Dalli, an accountant and former finance minister from the Mediterranean island of Malta, was forced to quit after his associate Silvio Zammit was accused of asking for money from Swedish Match to influence tobacco law. Swedish Match subsequently told EU investigators about the approach. In its investigation, the EU’s anti-fraud office OLAF said it had found “unambiguous and converging circumstantial pieces of evidence” that Dalli knew of the bribery attempt by Zammit, a part-time circus promoter and pizzeria owner who says he has known Dalli for 30 years. He previously worked as Dalli’s political canvasser and helped to organise meetings for him. Dalli, however, has consistently denied knowledge of the alleged bribery, saying he was the victim of an attempt by the tobacco industry and former Commission colleagues to block tough anti-tobacco proposals that he was due to announce. Much of the current case hinges on what was said in the meeting and whether or not it amounts to a dismissal or voluntarily quitting. The European Union's top health official, John Dalli, resigned in October 2012 after an anti-fraud investigation connected him to an attempt to influence EU tobacco legislation. A report from OLAF, the EU's anti-fraud office, claimed that a Maltese lobbyist had approached the tobacco producer Swedish Match and proposed making use of his contacts with Dalli to fix the EU export ban on powder tobacco. The report claimed that, while Dalli was not involved, he knew what was going on. Dalli rejected OLAF's findings, denying that he was in any way aware of any of these events.